It's time to dust off those giant Cerwin Vega's that have been collecting dust in the attic. Due to the slow death that is hard copy music, traditional stereo components have been in somewhat of their death throws for years now, having only the home theatre market to save them. But Apple's Airplay technology is bringing back the music so to speak. The latest device to enable this feature will have you abandoning those tiny little desktop speakers for the old unpowered ones of yore. 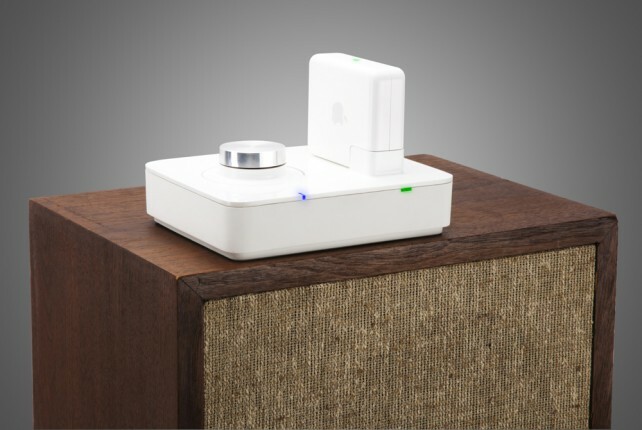 The premise is remarkably simple, in that you plug in an Apple Airport Express and the Twenty takes the Airplay signal from you Airplay enabled computer of device and amplifies it, pumping it through proper speakers for some musical boom. You can learn more here.